There is a certain beauty in simplicity. The brainchild of proprietor Leslie Rudd, Press excels with beautifully prepared cuisine that evokes the best of the American kitchen with a few French bistro accents thrown into the mix for good measure. Sommeliers Scott Brenner and Kelli White oversee one of the very best wine programs in the United States. My most recent dinner at Press was full of highlights. The lightly cured hamachi is light, crisp and refreshing. What a great dish to start dinner with. 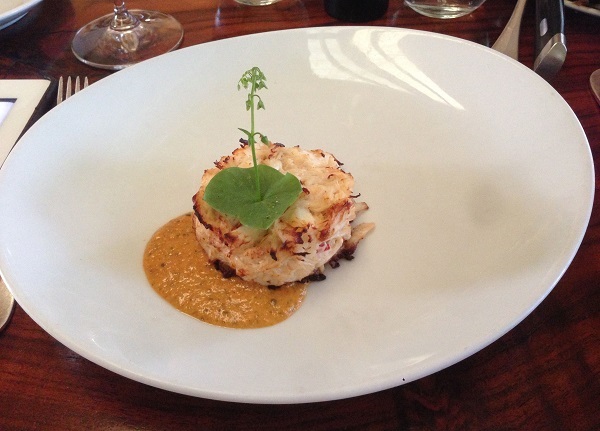 A Press classic, the Maine lobster & crab cake is to die for. The flavors are bold, direct and intense to the core, with none of the fillers that mar so many other versions. 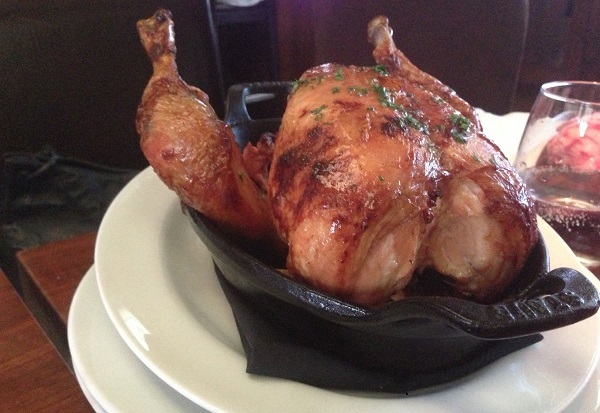 I rarely order chicken, but Press’s free-range chicken for two is magnificent. A 24-hour brine leaves the meat incredibly moist and tender. The generous bird is more than enough for two people, but we have no problem devouring it. I can’t remember the last time I had chicken this delicious. 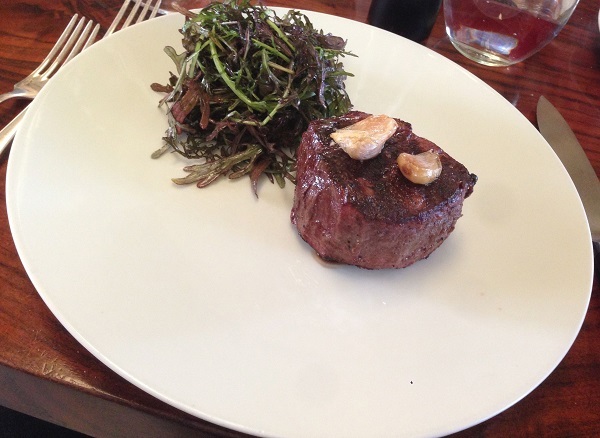 A meal at Press without celebrated butcher Bryan Flannery’s beef is incomplete. Our 8-ounce filet mignon is cooked perfectly and loaded with flavor. It’s hard to describe just how delicious and satisfying the filet is. And the Press Potato Cake? Deadly. It’s amazing what a little duck fat can do! Press has what is probably the single greatest cellar of Napa Valley Cabernet Sauvignons, including a number of rare, older wines that will make enthusiasts drool with anticipation. It is somewhere between a shame and criminal not to explore the list further, but after an intense day tasting 2013 Cabernets from barrel, my drink of preference is beer, or even better, Champagne. Brenner suggests Vilmart’s Cuvée Rubis, the house’s non-vintage Rosé, which is superb both on its own and with all of the food. Champagne is such a versatile wine at the table. This bottle is gorgeous. I rarely order dessert, but can heartily recommend the chocolate soufflé. Prepared to order, the soufflé arrives one minute and is gone the next. I can’t think of a better way to end the evening. Readers planning a visit to Napa Valley owe themselves a visit. My only regret is that some months must pass before I can go back.